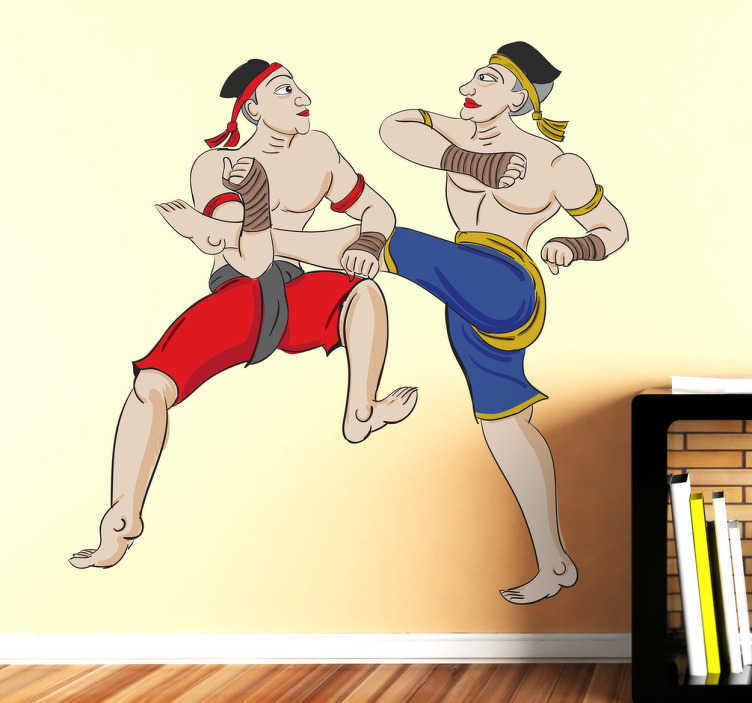 This is vinyl sticker is great for young boys who love mixed martial art, boxing, karate, kickboxing etc. It shows two men fight almost like a street fighter game effect. Why not get this for your young child. Maybe they take karate lessons, maybe they are passionate about fighing (obviously only to self defend themselves) then this is the sticker for you!! This sticker can transform plain and boring walls in minutes! You can also choose from a range of colours and sizes in order to best suit you. Easy to apply to any flat surface and removable without leaving any residue or damage!